This reflective cat collar is made from a soft and stretchy material. Available in black, blue, pink, and red. Can be adjusted for a comfortable fit. 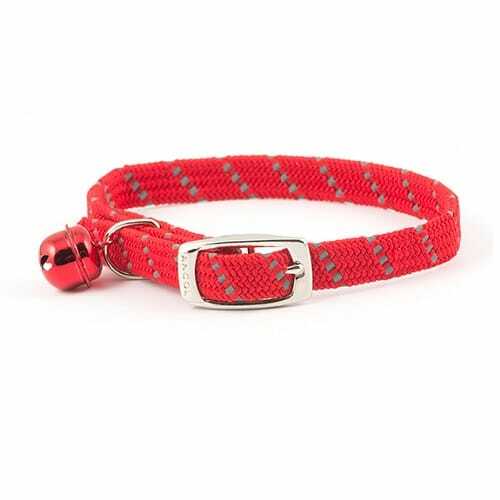 This reflective cat collar is made from a soft and stretchy material called softweave. This material gives your feline friend a comfortable and safe collar. 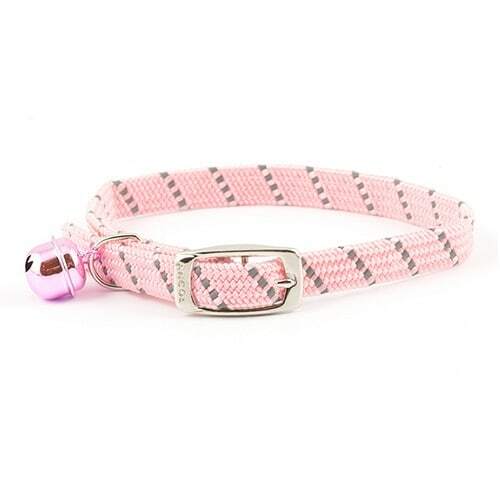 This collar is available in black, blue, pink, and red. Reflective strands are sewn into the collar to keep your cat visible and safe at night or on dark mornings. The collar can be adjusted for a comfortable fit. The elasticated softweave material allows your cat to escape if they get caught while climbing or on bushes. 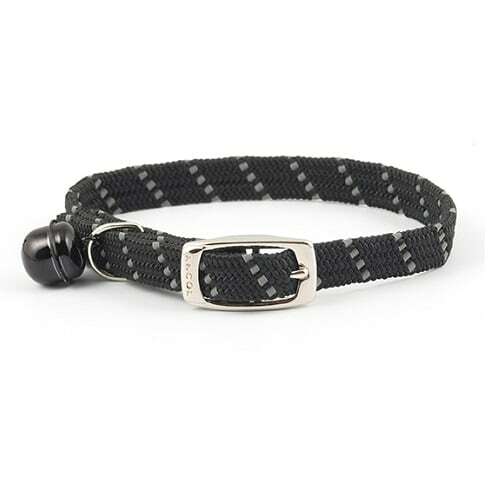 This collar features a standard metal buckle and warning bell to protect local wildlife. Always ensure you cat get two fingers between the collar and your cats neck to provide comfort and safety. 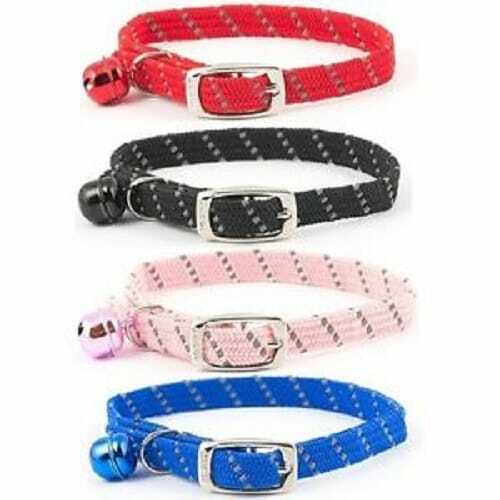 This is a good all round cat collar at an affordable price. 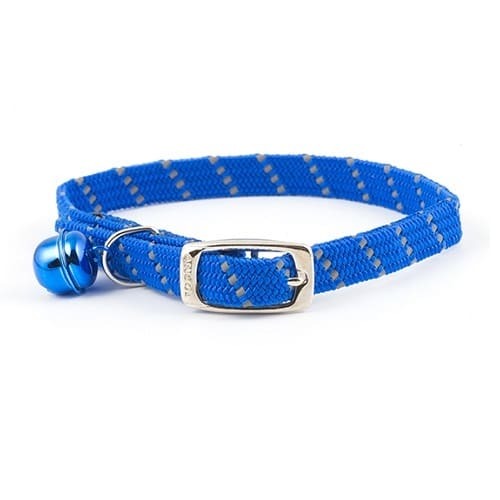 This popular collar is well designed and made from quality material. The reflective cat collar measures approx. 30 cm. When using liquid flea treatment please remove the reflective cat collar to prevent the collar’s material reacting with the treatment.